Jane Eikens, 70, of Shelbyville, Kentucky, passed away on Friday, November 30, 2018. She was born on January 15, 1948 in Culver City, California to the late Jack and Jane (Wilson) Gorton. She is preceded in death by her son Matthew Jack Hamilton, brother Jack Gorton, cousin Kimmy and Aunt Betty. Jane is survived by her loving husband of 42 years, Tim Eikens, sons, Tony Hamilton, Mitch Hamilton (Mandy), Luke Eikens (Sam) and daughter Janie Jones (Rodney), grandchildren; Josh, Anthony, Joslyn, Seadra, Camilla, Stacia, Cheree, Hudson, David, Nathan, Jordan, Shelby, Grace, Harry, Layla, Desean, Brandon, Isaac and great-grandchildren. She is also survived by her Aunt Honey Ghiringelli (Ron). Visitation will be from 10:00 am until the time of the funeral service at 11:00 am on Monday, December 10, 2018 at Newcomer Cremations, Funerals & Receptions (235 Juneau Drive Louisville, KY 40243) with burial to follow at Grove Hill Cemetery in Shelbyville, Kentucky. Add your memories to the guest book of Jane Eikens. No words can share the love i have for Jane. This family, Tim. I was there from day one. I can still remember his excitment when he met her, then that he was going to ask her to marry. The song he wrote for his wedding that he recorded in our studio and played it as the looked at each other. My heart is so full, of beautiful memories, and yet such a huge loss. That laugh and smile will never be forgotten. I love you Jane Eikens. So committed. Will love and miss you forever and ever. 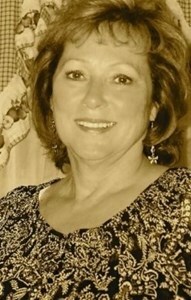 My sincerest condolences to you Janie and your entire family. I love you. I pray that you find comfort in knowing that your mother and brother are now together in the arms of the Lord.